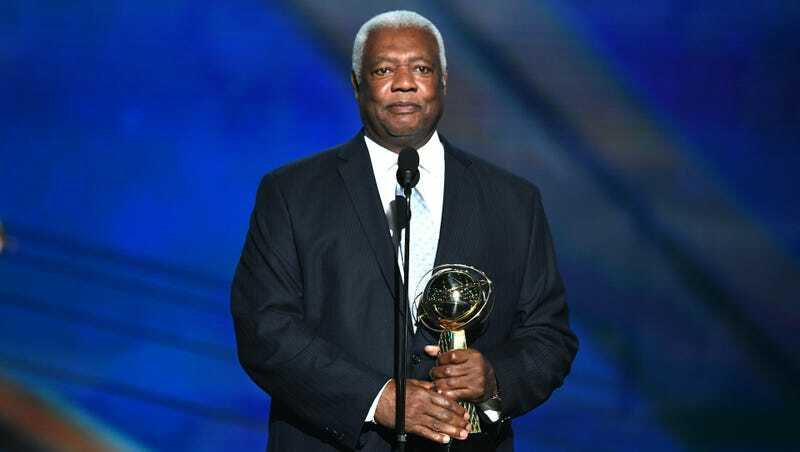 Oscar Robertson received a Lifetime Achievement award at last night’s NBA Awards, and when speaking to reporters after the show, he spoke at length about how pleased he was that players like LeBron James were taking an active role in advocating for social change. However, he also said that white players should step up and more vocally support social justice efforts. They’ve seen some injustice in the streets or wherever it might be, it might be almost anywhere, and they’re stepping up. But the only thing that really bothers me is, where are the white athletes when this is happening? This is not a black athlete problem. You see injustice in the world. It’s all around you. Just because LeBron steps out, I’m glad he does. I hope some other players — because this is what they believe — I mean, what do you want players to do? Shut up and dribble? I think it’s time for them to say what they want to say about life and about politics and things about the street and whatnot. Robertson has praised James and others in the past for their refusal to stay silent in the face of injustice, and while he’s most famous for averaging a triple-double in the 1961-62 season, Robertson was also an instrumental figure in advocating for NBA players through his work as the president of the National Basketball Players Association. He took the lead on a 1970 class-action lawsuit against the league that abolished the reserve clause and led to free agency. Even though he played in the league before the era of big-time salaries, Robertson’s been nothing but supportive of the NBA’s new generation of stars, and he’s well deserving of the NBA’s second-ever Lifetime Achievement award. LeBron James Says Donald Trump Is Using Sports "To Try To Divide Us Even More"